Fahd Mohammed Ahmed al Quso. A senior al Qaeda in the Arabian Peninsula leader who is wanted for his involvement in the USS Cole attack in 2000 and a failed airplane bombing over Detroit in 2009, and who currently leads a terrorist cell in Yemen, was killed in a US drone strike in Yemen today. AQAP confirmed the report. The Yemeni Embassy in Washington, D.C. issued a statement saying that Fahd al Quso was killed in an airstrike in Rafth in Shabwa province. “Today, an airstrike killed Fahd al Quso (Alias: Abu Huthayfa) in Rafth, Shabwa,” said the statement by the Yemeni Embassy in Washington, D.C. that was received by The Long War Journal. AQAP also announced Quso’s death, in a statement that was released by the Madad news Agency. 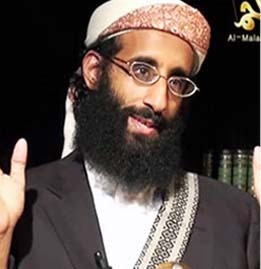 “Qaedat al-Jihad in the Arabian Peninsula confirmed that the mujahid sheikh, the memorizer and reader of the Qur’an, Fahd al-Quso al-Awlaki, fell today’s afternoon as a martyr – Allah permitting – after an American bombing in Wadi Rafadh in Shabwa province of southern Yemen,” the statement said, according to a translation by the SITE Intelligence Group. The statement also said that one other AQAP fighter was killed in the airstrike. While the Yemeni Embassy did not say that Quso was killed in a US airstrike, a US intelligence official involved in operations on the Arabian Peninsula confirmed that Quso was indeed the target of a drone strike today. The official would not comment on the claims by the Yemeni Embassy or AQAP that Quso had been killed. Quso was traveling in a car with at least two other AQAP operatives when the unmanned Predators or Reapers fired missiles at his car, an intelligence official told The Long War Journal. Three AQAP operatives are believed to have been killed in the strike, which occurred at nighttime. Quso has been sheltered by the Awlaki tribe, the same tribe that sheltered US cleric and AQAP ideologue and operational commander Anwar al Awlaki, who was killed in a US drone strike in September 2011. The wanted AQAP leader has been the target of at least one other US airstrike, in July 2011. A convoy transporting Quso in Abyan province was hit by US aircraft, killing eight AQAP fighters. Quso survived the strike. Previously, Quso was rumored to have been killed in a US Predator airstrike in Pakistan in September 2010. In October 2010, US intelligence officials warned The Long War Journal that the US had been unable to confirm Quso’s death. Al Qaeda did not release a martyrdom statement announcing Quso’s death. On Dec. 7, 2010, the US State Department added Quso to the list of specially designed global terrorists, and the chief of State’s Terrorist Designations Unit told The Long War Journal that the US did not believe reports that Quso had been killed. Nine days later, Quso was interviewed by Al Sharq al Awsat and expressed surprise that people thought he had been killed in Pakistan. 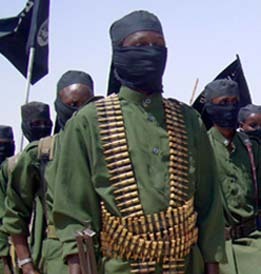 Quso is considered to be a senior AQAP leader. According to the State Dept.’s designation in December 2010, he leads an al Qaeda cell in Yemen, and “is connected to other designated AQAP senior leaders, including Anwar al Awlaki [a top ideologue and propagandist], Nasir al Wuhayshi [AQAP’s leader], and Said Ali al Shihri [AQAP’s deputy leader].” In May 2010, Quso appeared in an AQAP propaganda video and threatened to attack the US and its interests abroad, including embassies and warships. Quso is wanted by the FBI for his role in the October 2000 bombing of the USS Cole in the port of Aden, Yemen. The suicide attack on the warship killed 17 US sailors. Quso is also known to have provided funds to a key planner of the Sept. 11, 2001 attacks on the US. Quso was detained by Yemeni security forces after the Sept. 11 attacks, but escaped from prison in 2003. He was later recaptured in 2004, but released again by the Yemeni government in 2007, and quickly rejoined al Qaeda in Yemen. Additionally, Quso has been identified as one of the AQAP operatives involved in the failed airline bombing attack over Detroit on Christmas Day, 2009. Today’s strike in Shabwa is the first that is confirmed to have been carried out by the US in Yemen since April 23. Other recent airstrikes are believed to have been carried out by the US also, but little evidence has emerged to directly link the attacks to the US. The US carried out six airstrikes against AQAP in Yemen in March, and at least six more in April. Since the beginning of May 2011, the US is known to have carried out 24 airstrikes in Yemen. Fourteen of those strikes have taken place so far in 2012. This year, the US appears to be targeting AQAP foot soldiers in an effort to support Yemeni military operations against the terror group. AQAP has taken control of vast areas in southern Yemen and has been expanding operations against the government with raids on military bases in locations previously thought to be outside the terror group’s control. Three of this year’s 14 strikes have killed a senior AQAP operative in Yemen. US drones killed Abdul Mun’im Salim al Fatahani near the city of Lawdar in Abyan province on Jan. 31. Fatahani was involved in the October 2000 suicide attack on the USS Cole in the port of Aden that killed 17 US sailors, as well as the bombing that damaged the Limburg oil tanker in 2002. AQAP said that Fatahani had fought in Iraq and Afghanistan. US drones also killed Mohammed Saeed al Umda (also known as Ghareeb al Taizi) in an April 22 drone strike on a convoy in the Al Samadah area of Marib. Umda had served as a member of Osama bin Laden’s bodyguard in Afghanistan before returning to Yemen. He had attended the Al Farouq military training camp in Afghanistan before the downfall of the Taliban regime in 2001. 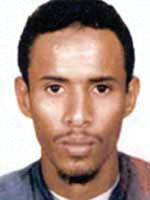 Al Umda was involved in the October 2002 suicide attack on the French oil tanker Limburg and escaped from a Yemeni jail in 2006. Additionally, Abu Musab al Masri, an Egyptian jihadist who fought alongside AQAP, was one of several foreign fighters killed in a US drone strike in the Karma area near Azzan in Shabwa province. The pace of the US airstrikes has increased as AQAP and its political front, Ansar al Sharia, have taken control of vast areas of southern Yemen. AQAP controls the cities of Zinjibar, Al Koud, Ja’ar, and Shaqra in Abyan province. 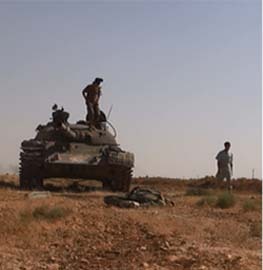 The terror group also controls Azzan in Shabwa province. AQAP seized control of Rada’a in Baydah province in January but later withdrew after negotiating a peace agreement with the local government. US intelligence officials believe that al Qaeda in the Arabian Peninsula poses a direct threat to the homeland. The terror group has plotted multiple attacks against targets in the US. A strike in Yemen last year killed Anwar al Awlaki, the radical, US-born cleric who plotted attacks against the US, and Samir Khan, another American who served as a senior AQAP propagandist. Maybe this can help some of the family members heal. I really hope this is true! or hide, Now lets finish the game. Drones. These wonderful tools need a better name than “Drones”. 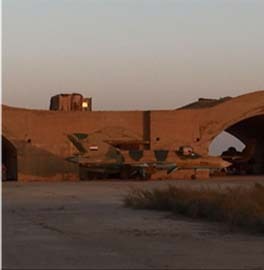 These machines appear to be the gamechanger that seems to be developed if the U.S. is at war long enough. When things were at their worst, 2-3 years into the Long War, who would have thought that (I will never use the “D word”) we have taken the enemy’s advantage of geography out of the equation? The US military, of course. Fight on, God Bless and thank you. 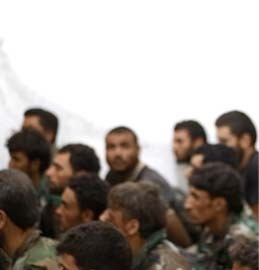 Nasir al-Wuhayshi you’re next!!!! Talk about throwing the whole loudmouth Awlaki theory of death by a thousand cuts right back at their faces. I think the new Yemeni government is really determined to wipe out these pathetic excuses for men, and if we step our operations, AQAP could be reduced to current Al-Shabaab status(we should expand our drone operations there as well, that base in the Seychelles is perfect). 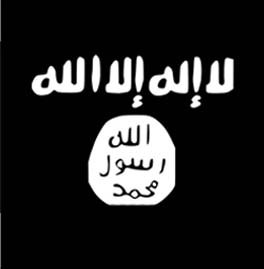 AQIM should be next. The fact that they destroyed a UNESCO site, just goes to show how urgent it is for the world to exterminate with extreme prejudice anyone associated with the scourge that is Al-Qaeda. Everything that is free, everything that is beautiful they seek to destroy, because they in turn are not free(their minds) and beautiful( their policy of valuing death over life). one nice feature about the terrain in Yemen compared to the targeted areas in the AfPak theater is they aren’t forested & water is much more difficult to come by. This should bode well for our people working the Sahara. Now if only they could get Zawahiri. Too bad he’s probably under ISI-protection. It is always good to show that the US eventually gets their man, even if it takes a decade or more. Examples have always included domestic criminals, but lately have included OBL and this USS Cole creep. I know there have been others. If only this news would get a little more attention in the US news reports. Remember when the fact that there were US citizens being held hostage overseas was a daily news item, updating the number of days in captivity (1979)? How times have changed. Outstanding. Anytime we can get payback for the US Navy against the cowardly Cole bombers…is a good day! Glad they finnally got them still remeber sitting in the uso when the cole got hit.